I love when an entire dinner can be cooked in one skillet. Now this one technically may not qualify since you have to boil some pasta separately, but it’s pretty darn close and comes together so quickly. You can customize this with any veggies your kids will eat — we had zucchini and tomoates this time — but this is great with summer sweet corn cut of the cob, bell peppers, asparagus, you name it. The garlic and shallot take a small butter plunge and go swimming with delicious late summer veggies. Add in fire-roasted tomatoes and a handful of parmesan and you get late summer foodie bliss. Since I like this to be a meal in itself, I use the Barilla protein-enriched pasta (in the yellow box). You could also throw in some leftover or rotisserie chicken for some added protein. Yum! I’m reallllllly gonna miss these summer veggies! Boil pasta according to package directions for al dente. Reserve 1/4 cup pasta water and drain the rest. Melt butter over medium heat in a large skillet. Add the minced shallots and sauté 3 minutes. Add the garlic and sauté another minute. Add the zucchini to the pan, along with a pinch of salt and pepper and continue to sauté until it starts to brown on both sides, 6 minutes. Add the cherry tomatoes to the pan and sauté another minute. 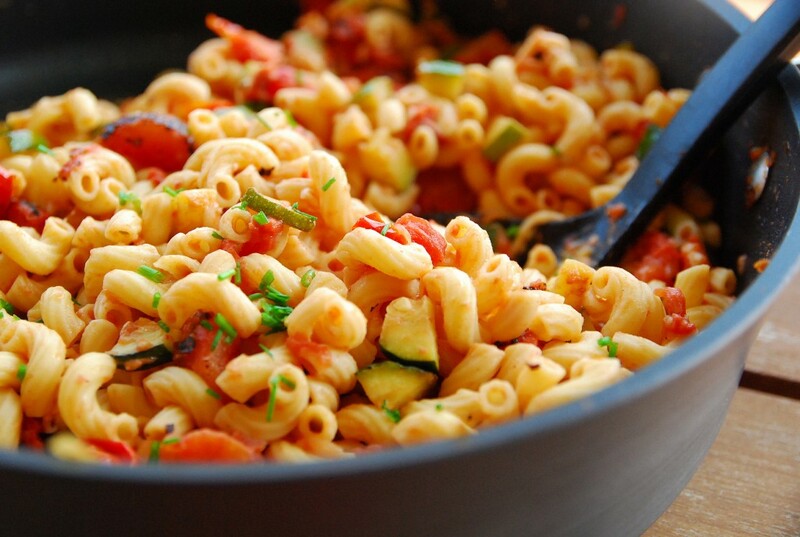 Add pasta to the sautéed veggies. Add the cheese, Muir Glen tomatoes and remaining. Toss to combine. Taste and salt accordingly. 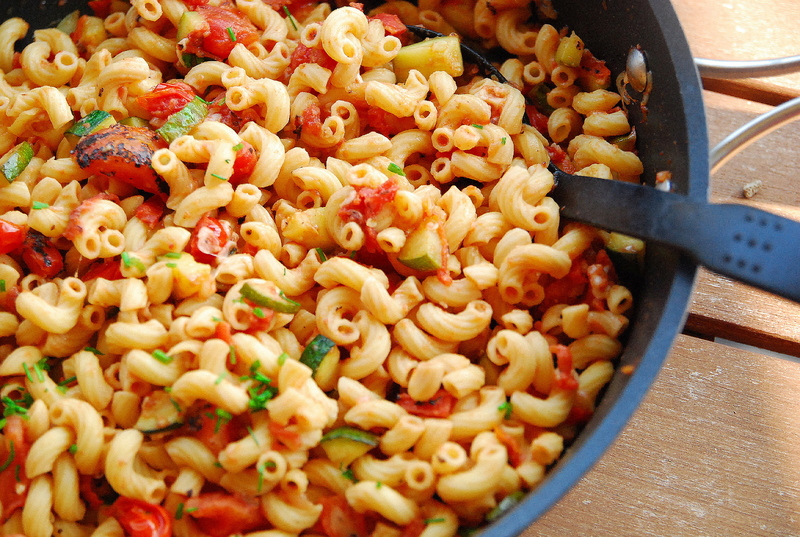 Add a little bit of the pasta water to create a thin sauce if you desire.